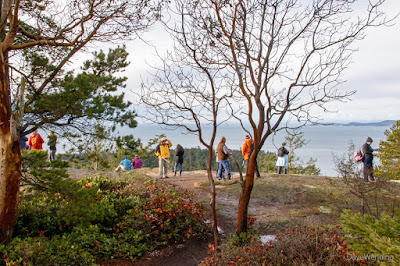 The theme for this year's First Day Hike at Deception Pass State Park was the Pacific Northwest National Scenic Trail. This is a 1,200 mile/1,931 km trail system that connects the Continental Divide in Glacier National Park, Montana to Cape Alava on Washington's Pacific coast. We completed a portion of that trail on yesterday's hike. 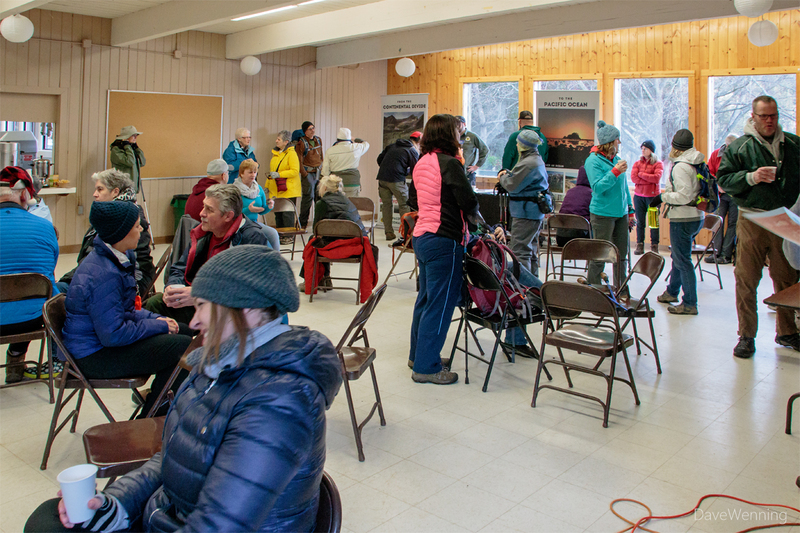 First Day hikers gathered in the dining hall at the Cornet Bay Retreat Center. 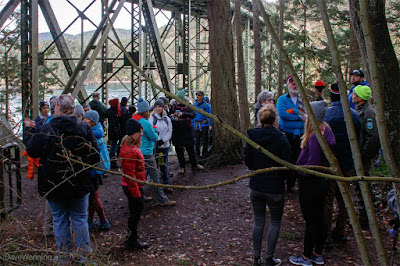 Here, we fueled up with hot drinks and pastries provided by the Deception Pass Park Foundation. 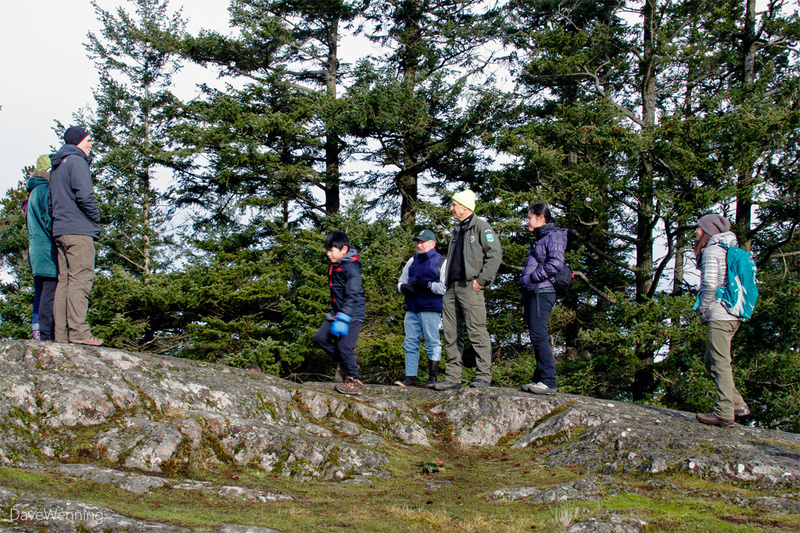 Hikers ranged in age from toddlers to seniors with everything in between. 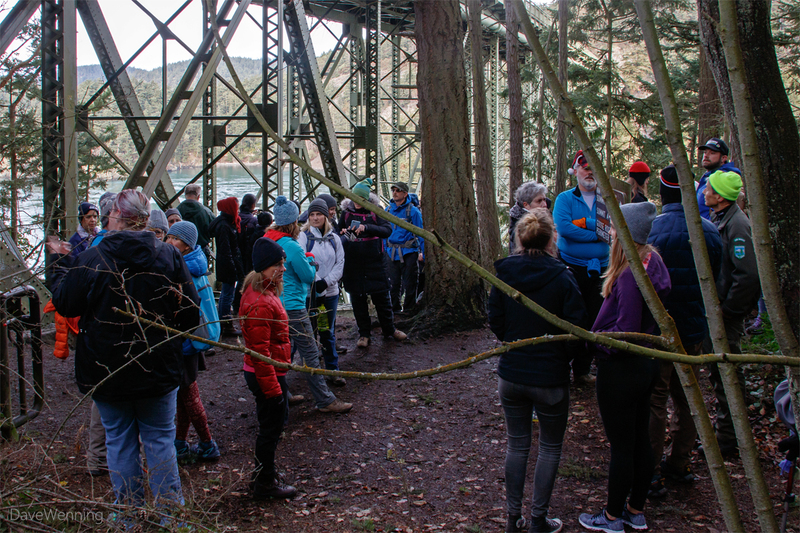 The first leg of the hike took as to the Deception Pass Bridge via the Goose Rock Perimeter Trail, about 1.5 miles/2.4 km. The trail went from sea level to high on the cliff overlooking Cornet Bay. It descended back to sea level skirting along Deception Pass. It ends at the bridge where we took a rest stop. We had just completed a piece of the Pacific Northwest Trail (in section 08-05 on the map). From the bridge we climbed to the summit of Goose Rock, 484 feet/148 m above sea level. 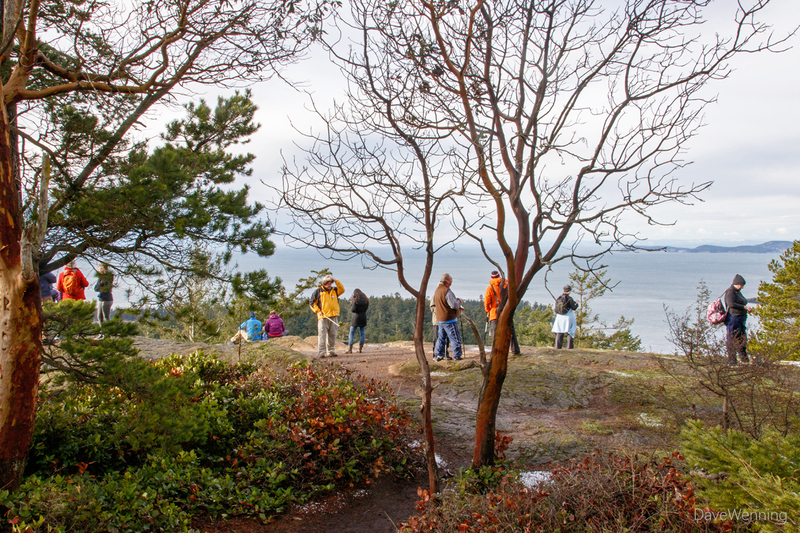 In the crisp, invigorating winter air, we enjoyed panoramic views of the San Juans, the Strait of Juan de Fuca and north Whidbey Island. For the sixth year in a row, we had perfect weather for the First Day hike. The day gave us mostly sunny skies and a temperature of 36° F/2° C. We encountered the high winds that were forecast only while at the Retreat Center. Even at the summit of Goose Rock, the winds calmed for us. 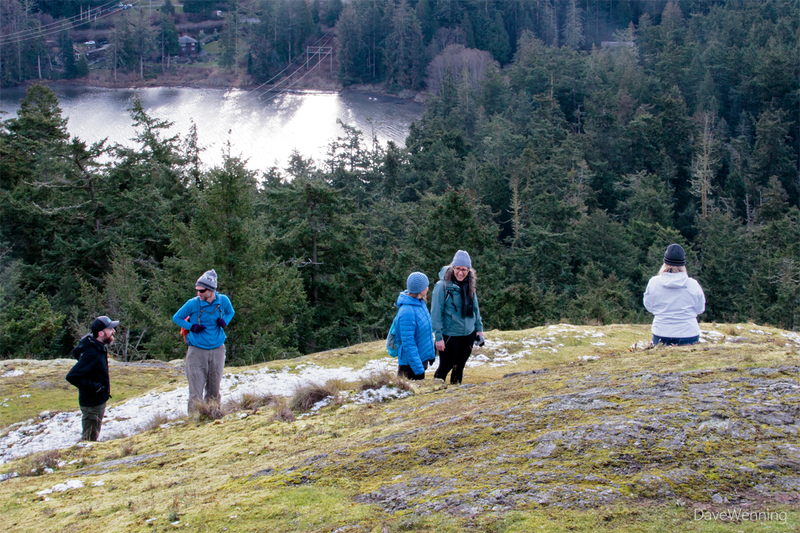 We climbed down Goose Rock on the opposite side from our ascent and returned to the Retreat Center. Hikers were greeted by the smell of hot coffee. 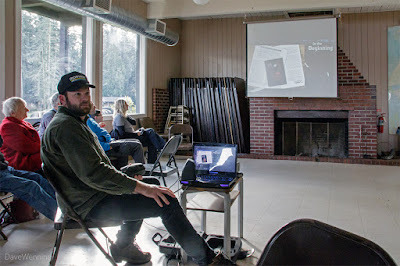 We were now treated to an amazing multimedia presentation about the Pacific Northwest Trail by Jeff Kish. 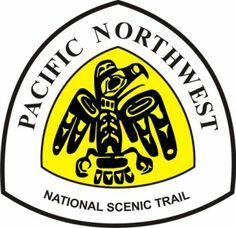 Jeff is a thru-hiker, journalist and Executive Director of the Pacific Northwest Trail Association. He has completed both the PNNST and the Pacific Crest Trail, and is a gifted storyteller about his experiences. I could imagine myself on such an adventure as he spoke. Since I have now passed from the Pepsi Generation into the Metamucil Generation, I can only daydream. But such wonderful daydreams they are. The PNTA is based nearby in Sedro Woolley, Washington.